The Spa At Pebble Beach is a place for those who enjoy pampered perfection. If the sound of pounding surf, long walks on the beach and imaginative cocktails haven't push away months of stress, consider a couples massage in the Fireplace room followed by 30 minutes of uninterupted peace and tranquility. Spend the entire day and viist the sauna, get a deep body scrub or plan some extended time in the steam room. Most are at least a little concerned that this Mediterranean oasis will be filled with an uptight cliental and that the services are well ...over the top expensive. In truth, this spa has is a very relaxed and laid back vibe that is noticable as soon as you walk into the front door. There is no pretense, the service is impeccable, and the surroundings are immaculate and quiet. The lights are subdued and voices are keep low to enhance your experience. There are even places where no talking is allowed at all. Try it! Spend some time in the Conservatory Room with a blazing fire ring in the middle of the room, where there are ample warm blankets and a discrete sign that says "No talking please." Your welcomed as you enter the Spa with a fluffy robe and then escorted to a huge locker area with everything you might need ... deodorant, toothpaste, hairbrushes and hair dryers. If there is someting you need, the staff is diligent to make sure your experience here is all that you expected. It is expensive but everyone seemed more than happy because of the scope and selection, and total full day experience that most have never had access to before. The Pebble Beach Spa is gigantic with 22,000 square feet of structure designed with your total relaxation in mind. 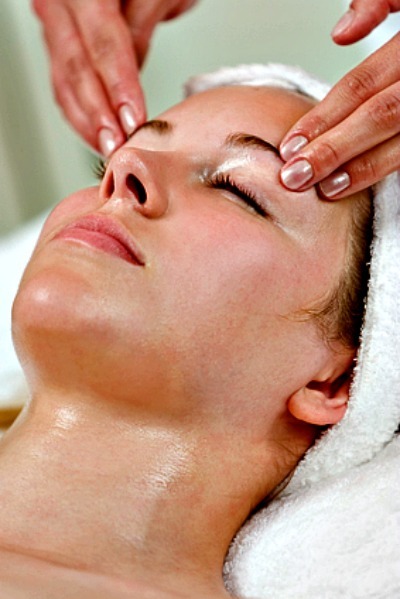 Fifteeen massage rooms, five facial rooms, and a makeup room are at you beck and call. As you find yourself approaching total and complete relaxation, step into the Signature Shower or Ionization Rooms for another dose of pure bliss. Don't forget that the outdoor pool, heated to 82 degrees is just waiting if you want a quick and refreshing swim. The Spa at Pebble Beach has been called one of the best spas in the world. We think once you visit here you will agree! The Spa At Pebble Beach Has Everything! This world class Spa at Pebble Beach has everything! After a full day at the Pebble Beach Spa you will be renewed and feel as light as a feather. Complete your day with a few laps in the huge swimming pool that is always kept at 82 degrees ... it's wonderful! The comments are almost all the same when any discussioin about the Pebble Beach Spa comes up ... "just go" Yes it cost a bunch, but if this is a couples escape or an anniversary, or a birthday or a wedding, the time here is more than worth it ... it just is!